A Kubernetes to Netflix Eureka quick comparison for beginners. I have been doing some research on the differences between Netflix’s Eureka and Kubernetes. Eureka is focused on microservices from the coding level. Kubernetes focuses on orchestration. 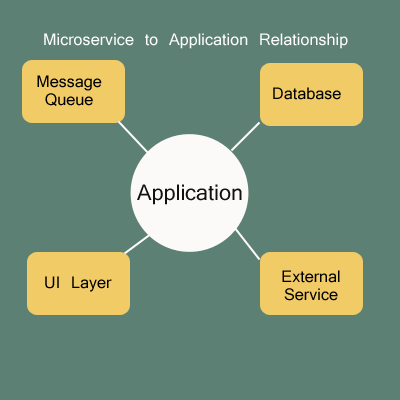 With Eureka, you create a highly available distributed application to microservice solution. On the other hand, Kubernetes focuses on Docker container orchestration. It worries about the number of containers running, container demand, or whether a container died and needs restarting. It doesn’t care about what is in the container and what the container does. You need to add on additional solutions/tools to achieve the same end result as Netflix to have a full end to end solution. In the long run, both of the solutions solve the same problem but use different approaches. Kubernetes seems the best to take an existing application and break it into micro-services over time. It has less pieces built in to the solution so you need to bolt on the missing pieces by using 3rd party solutions. Eureka seems to require changes upfront in order to adopt it. Eureka is integrated with the other Netflix solutions, Ribbon for example, so everything is easy to pull together for an end to end solution. Paradoxically, both of these solutions refer to the automation of deployments. Because our DeployHub performs deployments, it is important for you to understand this difference. While DeployHub focuses on defining and packaging the application stack for an endpoint, Eureka and Kubernetes does something more like ‘publishing’ the application package to the container.